The light, subdued colours and the soft, luxurious texture in the TWIST carpet work extremely well for the purpose of upgrading SCANDIC Sluseholmen, Copenhagen. 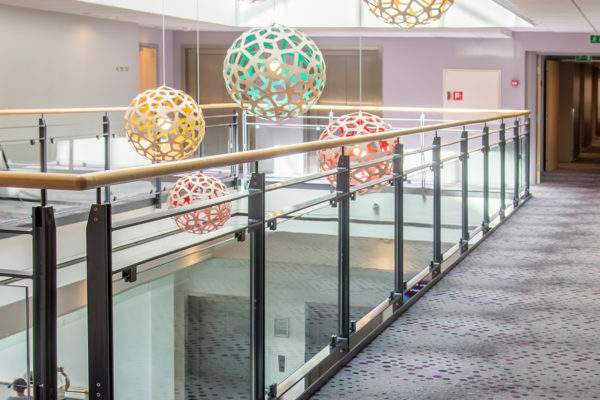 The desire to upgrade at SCANDIC Sluseholmen Copenhagen was the basis for a comprehensive renovation of both rooms and corridors. 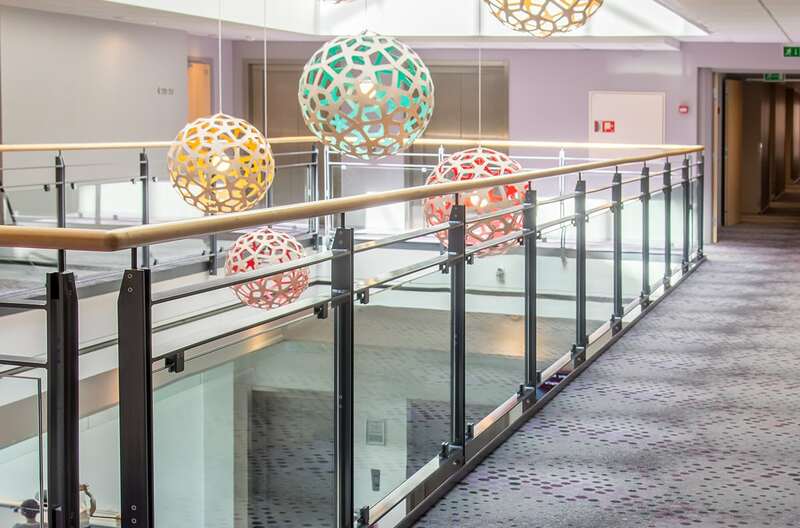 The hotel has ultramodern conference facilities and is very much a hotel for business travellers. 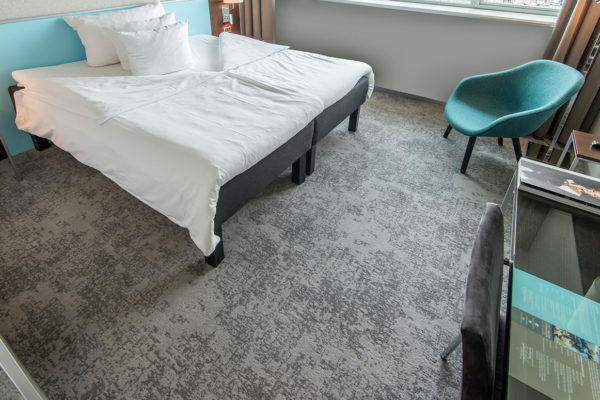 Style and substance melt together to meet the demands of the modern nomad, and the innovative TWIST carpet from Dansk Wilton suits the purpose perfectly. The innovative lighting interplay is also present in the wallpaper that glows like a golden sunset when you turn on the light behind the headboard. The wallpaper reinforces the natural lighting effect from the windows and draws your attention to the beautiful surroundings. TWIST is a new carpet innovation from Dansk Wilton. The combination of hard twisted yarn and normal velvet yarn transforms the carpet into an exciting world of shimmering texture. This gives the carpet a velvety soft and distinct surface offering a luxurious and unique carpet solution. 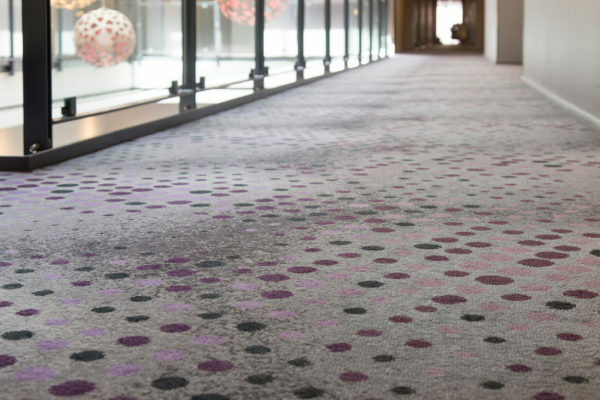 The special design technique provides the opportunity for hotels and cruise ships to stand out by adding inspiring depth to their carpet installations. 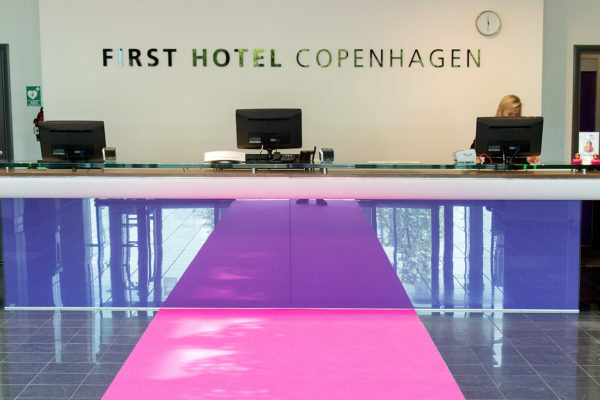 ”We think that the carpet solution, in terms of colours and materials, work extremely well for the purpose of upgrading the rooms. The light, subdued colours and the soft, luxurious carpet contribute to an incredibly relaxing atmosphere”, – Erica Lundh. In fact she is so satisfied with the result, that she has selected DW TWIST for other projects. Dansk Wilton delivered TWIST carpets for rooms and Colortec carpets for corridors. Rooms: DW Contract TWIST 1100 g/m2 with integrated felt backing. 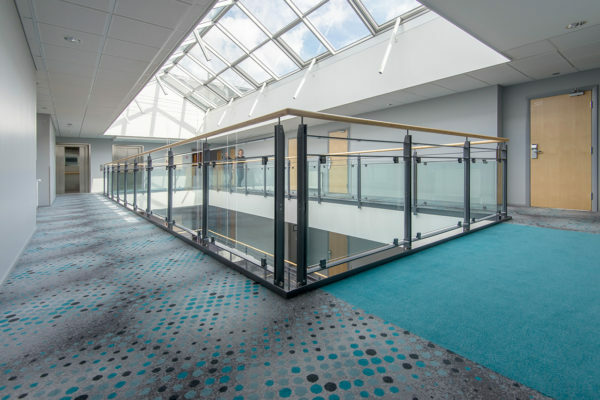 Corridors: DW Contract Colortec 1500 g/m2 with integrated felt backing.